Rev. 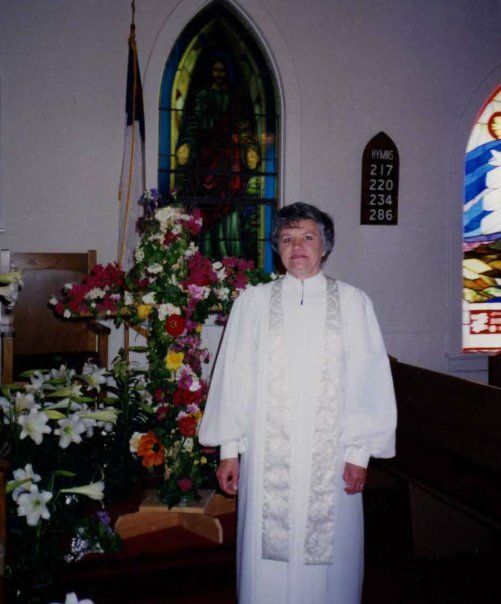 Nancy Detweiler, M.Ed., M.Div. Many of you have joined Facebook or LinkedIn and we are technically friends. I want you to know why I seldom answer your messages. I use facebook and LinkedIn more like blogs rather than for chatting or expanding a business circle, so I am actually working while on either network. When I say “working,” I don’t mean that I am working for pay or that I have a boss supervising me. I do not. My Bridging the Gap Ministries is my own private ministry on the internet. I am affiliated with NO group and have no means of income such as a minister of a church has. Bridging the Gap Ministries was created in 1995 when I realized that tremendous changes were evolving on our planet. Much hidden information regarding every facet of our planetary society was being slowly revealed. To characterize every segment of our planetary society in one word, I would use the word LIES—perhaps more so in Western Countries than in many other countries. However, as a planetary society, we are lied to in multiple ways and have learned to simply regard life as we know it as “that’s life,” seldom, if ever, questioning it. As the revelations regarding the ways in which we have been lied to become known, many are likely to experience upheaval in their lives. Time is required to adjust when the worldview we have been taught and accepted as Truth is suddenly torn apart. It is for this reason that I have spent the past 20 years researching and writing about the lies we have been told and the truth behind those lies. Because I view Ministers or Clergy (regardless of the religion) as key persons within any community throughout the world, I have singled you out to address. In performing your duties as clergy/ministers/priests/rabbis, etc, you are attempting to guide your congregation in ways that will assist them in growing spiritually. For this reason, you are very likely to be the one to whom they turn when questions and a variety of challenges come up in their lives. For that reason, I am assuming that you attempt to possess knowledge about a wide spectrum of topics that impact the lives of your congregation. This wide spectrum is also food for your sermons and teachings that can be applicable in their daily lives. I’ve said all the above in order to explain to you: when you contact me on facebook or LinkedIn with a polite “Hello, how are you?” I do not have the time to carry on a polite chat. If you have a serious question, simply ask me. No need for the polite chat first. I will try to answer your question as long as it is not about me personally. I will answer neither personal questions nor get into an intellectual debate. My writings are expressions of what I intuitively feel to be true—based on my research. When I write, I am simply sharing my findings in research. It’s okay if you do not accept what I write; although, I hope you will maintain an open mind because we are ALL about to have the foundations beneath us shaken with the forthcoming revelations. Just one example of the magnitude of what has been hidden from the people are the Secret Space Programs several major countries have. These Programs render our planetary society only one in many throughout the cosmos. We actually live in a cosmic community, rather than simply a planetary community and corporations on Earth have trade agreements with many of these cosmic communities. They are also traveling to and fro in the cosmos, developing very advanced technologies that are being withheld from the people. Earth humans are suffering needlessly as a result. My Bridging the Gap Ministries attempts to keep up with the information being revealed and to post it on my website and blog—which automatically sends each post to facebook and LinkedIn. I am expecting that people read the information for themselves and accept what is meaningful for them; reject the rest for the time being. I get many requests to chat about this or that, but I do not have time. Plus, one of my own beliefs is that nothing is solved by debate. I depend upon my Intuitive Powers for confirmation of Truth. May each of us rejoice in the opportunity facing us to greatly expand our minds and hearts as we learn things of which we may have simply fantasized! Hopefully, you understand my lack of response to chats. May our loving Mother/Father God richly bless each of you in your ministry! As the individual to whom your congregation turns for spiritual direction, it is imperative that you begin to explore additional facets of spiritual growth. 2014 has already proven to be a very intense year and it will increasingly intensify throughout the year. As a Vocational Rehabilitation Counselor in the late 1960-70s, I regularly visited patients at Butner Mental Hospital in Butner, N.C. During my first seminary experience at Southeastern Baptist Seminary in Wake Forest, N.C., I also did a semester’s internship of pastoral counseling with patients in Dix Mental Hospital, Raleigh, N.C. Nurses in both Butner and Dix told me that the halls were filled with ministers as patients. Why would this be the case? I know now that the reason is the utter lack of metaphysical knowledge relating to spiritual growth. Orthodox Christianity teaches absolutely nothing about the true make-up of individuals. Any manifestation out of the norm, such as hearing a voice in one’s head or declaring a past life memory to be true, is considered a form of mental imbalance and/or heretical inclinations. Christians are taught almost nothing about life as it really is and nothing about who we really are. Instead, we are taught that we are lowly sinners and that “Jesus did it all” for us. Nothing could be farther from the truth. Many Christians are actually told by some religious authority figures to avoid reading self-help books and focus instead on Jesus. Can you, as a minister, answer the following questions: What is a chakra? What is the Kundalini energy? How does the kundalini energy get activated? What does it mean to be a multi-dimensional individual? What is holistic spiritual growth? How do we go about purifying our energy fields? The intense energies are opening people to realities about which they have either not heard or considered New Age mumbo-jumbo. As a minister, you are very likely to be called upon to assist with spiritual awakening symptoms during 2014. Rather than be a party to the gross misdiagnosis and treatment of individuals who are in reality opening to a deeper knowledge of spirit, I strongly encourage you to educate yourself by studying the resources offered on this website especially oriented to Spiritual Emergence. You will also find an extensive list of therapists who have been trained to deal with spiritual emergence. “The term Spiritual Emergence has been used to refer to the awakening of the spiritual potential within an individual that initiates the unfolding and expansion of that individual’s way of being. It is a natural process of growth toward a deeper, more connected and expanded way of being, that usually occurs slowly throughout our lives and is gently integrated. When this process occurs rapidly or becomes very intense it can seem disruptive and out of context with everyday life, precipitating a personal crisis which is referred to as a Spiritual Emergency. POSTSCRIPT: I am deliberately listing my Twin Flame’s name as co-author with me because that is the case. What is a Twin Flame? The other half of you … the symbolic 2nd creation story in Genesis 2 describes God creating Eve from Adam’s rib—thereby creating two individuals having the same Soul. Many Twin Flames will be reuniting in the very near future as the official governmental Disclosure Announcement occurs—extraterrestrials are, and have been for thousands of years, present with us both on and around Planet Earth. I sincerely hope ministers know more than my experience has taught me you do. There is so much to learn as the Minister of your church. I am aware that you are required to officially abide by orthodox teachings; however, I strongly encourage you to study on your own and be prepared for the multitude of questions your congregation will have regarding their own spiritual emergence. A little more about my qualifications: Attended two seminaries for a total of six years of training and a Master’s in Divinity … 40+ years of metaphysical study, including learning to metaphysically interpret the Bible … A Master’s in Counseling Education … author of 3 books … listed in Who’s Who In The South & Southwest … owner of a website and blog oriented to bridging the gap between orthodox Christianity and the deeper spirituality which is now emerging within humanity as a whole. My twin flame presently resides on a higher plane and offers inspiration for most of my writing. When our galactic family openly lands on Earth (an event that could take place during 2014), Uriel and I will be reunited on the same plane and continue with our Soul Mission together. Have I blown your mind? It is about to be blown wide open by the flood of heretofore unknown truths being revealed to Earth humans. Your congregants are very likely to turn to you for guidance. I wish you well as our planet embarks on a greatly expanded spiritual journey! My partner and I have been invited to The Governor’s Mansion. I have no clue as to what I shall see and learn today. The very fact that our Governor has continually pushed for openness and acceptance is at least a very positive step in the right direction. He, as well as his wife, come from old lines of Catholicism and Democratic ideologies. I have watched their Catholicism drop away in recent years, and their embracing of that which is immune to the control of the church be evident in their open discourse. Frank and I were talking yesterday about how wonderful words have that “double meaning.” Just the wonderful word “conservative,” meaning one who conserves, (we practice “green” as much as we are able– we conserve!!) has become a word that connotes hate, fear, division, exclusivity and NO LIGHT! Shall we seek a new language? What shall the language of love be? When Frank and I went to get our marriage license on Thursday, we were immensely impressed by how “the fixed language” of centuries has already been altered and embraced by those simply working in the Courthouse. Already, we see the term “bridal registry” gone, and “wedding registry” in it’s place. They radiated smiles and warmth. They took our picture. They offered congratulations…. and ya know what… it was not put on! It was genuine and heartfelt! As a empath, I can “feel” what is sincere and what is not. I have always been able to distinguish between what a person is saying, and what their true intent is. It IS an energy that one can feel. As I continue to awaken and trust the amazing intuition of my own Godhead, I am free to enjoy this energy when I recognize it. When out in the world I CAN sense and am drawn to it and it to me—the energy of love in people. The amazing conversations and encounters, no matter how fleeting they may be, are easily recognized more than they ever were before. I used to feel in a minority when it came to finding the positive energy, but it is so permeating at this time. This is NOT “wishful thinking” in the former way of old thought. Instead, this is true, honest, trust-able love energy that keeps connecting itself from one person to another. In these last few weeks I have been attracted and connected to people that have felt as if they had been my closest friends all along. This is a truly amazing power/energy to feel! “Deep calleth unto deep” and spirit recognizes spirit, and energy recognizes energy. This is so invigorating to experience every day now. Stepping out of the door of my home is an adventure, an epiphany, a new beginning everyday. This is not the old “Gee, Jesus is coming back syndrome,” but rather a palpable KNOWING that transcends words. NOTE BY NANCY: I use to love to teach metaphysics because my students would get so excited over every new experience. Spiritual growth is a very exciting adventure. Having a minister friend—presently serving two churches—share his awakening experiences is thrilling because he immediately perceives how all of life takes on new, much more profound meaning. And he is willing to share his adventures with us! I have become very aware of something recently: Christianity has always taught this immediate upheaval, destruction, in-a-moment …..
Perhaps people still think things are not happening “fast” enough. I absolutely believe that because I am in agreement with all that The Source does, has done, will do that I am experiencing EXACTLY what I need to experience. I awaken every day with something new that dawns on me; some nugget, some epiphany…. and when it does it is powerful… especially because it seems to simply make sense! This happened last night as I was awakened from my sleep. I lay there and mused on thoughts that just flooded into my brain that simply MADE SENSE. These are not the thoughts that I ever had. I may have had some ground work for them, but the knowledge is just there. Now, I am certain that others have gotten way “bigger” epiphanies than I, but this revealing of knowledge is to The Collective Conscience as we all awaken to the simple fact that none of us thinks separately from the other. Many of you work with various degrees of deprivation and hopelessness. For this reason, I have compiled some hopeful news that is actually occurring on our planet, but which has not yet been announced publicly. Gaia, or planet Earth, is scheduled within the Divine Plan to ascend into the 5th dimensional plane of higher consciousness by December 21, 2012. There is a voluminous amount of information about Earth’s ascension to be found on the internet. Also within the Divine Plan is the opportunity for Earth’s inhabitants to ascend with her, many of us in our physical bodies. Gaia will no longer be a 3rd dimensional planet, represented by the plane of duality symbolically created when Adam and Eve chose to eat of the fruit of the forbidden tree in the Garden of Eden. This plane of duality, of good and evil, is disappearing. Because Earth’s humans must prepare for ascension, much will take place during the next six months. All wars will cease … all deprivation will be eliminated … humanity will be freed to live in love, peace, and abundance. 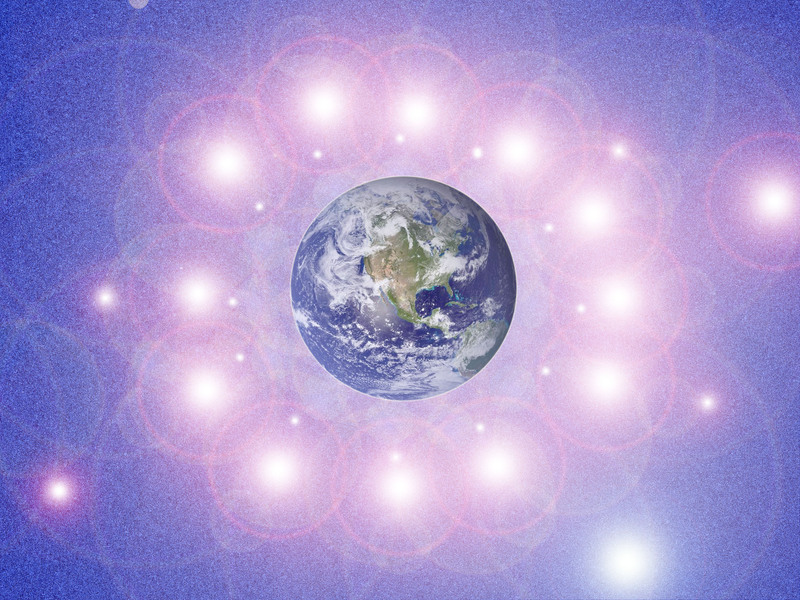 Every individual who chooses to ascend with Gaia will be instructed as to how to do so. Our galactic brothers and sisters from across the cosmos are already hovering in space around Gaia, waiting for the perfect divine moment to land and assist us with preparations for ascension. Our galactic families are millions of years ahead of us. They are very spiritually advanced and have technologies that are capable of relieving all of our environmental problems. One example of the type of galactic technology we will receive is one that many of our engineers have already seen—a replicator. This replicator can produce anything for which it is asked, free of charge. Within only a few years, money will become obsolete. God did not create money—humans who sought to control the planet invented money. Our world is to be transformed rapidly with advanced technologies, such as the replicator. I am writing you in order to give you hope, so you can share your anticipation with your congregations and others to whom you minister. The immediate future is very bright for all who choose to ascend with Gaia! And the excitement in knowing there is very realistic hope for everyone will greatly benefit Gaia by lifting the energies from depression to joy. With this in mind, I am sending you a few resources to be found on the internet that further explain some of the events of the coming six months. Ascension is to be worldwide; however, the initial process of removing leaders who seek to control and enslave the people (known as the dark cabal) may vary from country to country. Since I live in the United States, I can only speak from a western point of view. I created my website and blog as a means of reaching the world. I do not travel to various countries in person because that restricts outreach to only what is physically possible. During the next six months we will all receive training for ascension from our galactic brothers and sisters. Meanwhile the best thing to do is to read the information available on the internet and practice being forgiving and loving in all that we do. Ascension is beyond any one religion’s teachings as to how to get to heaven. We will soon learn that religions were established as a means of controlling the people. Not one of the Great Spiritual Teachers created a religion. Before proceeding to the list of Resources, I suggest reading and listening to the following. This will alert you to the event, or events, most likely to happen within days or weeks. I call attention to the above “rumor” on American Kabuki’s site because there is enough money on this planet to totally eradicate poverty. As the dark cabal is removed, we will see increasingly huge amounts of money being released to create a better world for everyone. http://www.blogtalkradio.com/inlight_radio – on this site you will find listed the “upcoming show” and shows “on demand.” Stephen Cook’s July 11 show will be listed as “upcoming” by Wednesday morning and can be found in the “on demand” listing by July 12. In Light Radio is an excellent resource for a variety of personal interviews centered around ascension and our galactic family.